For recreation I like to ride tandems. The beautiful garden design of the city, fine mediterranean style weather, and hundreds of kilometres of cycleways, makes Perth the perfect environment for outdoor activity such as cycling. 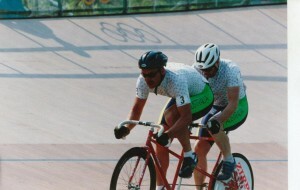 In my younger days I competed in tandem racing, reaching elite level, representing Australia at the 1996 Paralympic Games held in Atlanta, USA. With all those cycleways around Perth to navigate it is a good idea to get yourself some maps to reduce the chance of getting lost, and ensure that your cycling jurneys are always enjoyable. If you think cycling around Perth is a challenge, spare a thought for these intrepid road warriors taking part in the Great Bike Hike. The Great Bike Hike was a celebration of people and places involved in creating welcoming and affirming communities for people with disability, mental illness, their families and carers. 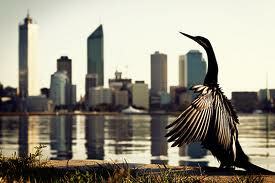 Throughout August and September 2012 a team of 10 riders, including paralympians, cycled 2,496km up a large chunk of the West Australian coast, from Perth to Broome , stopping at regional towns along the route to celebrate local projects and initiatives that enrich the lives of everyone within their community. 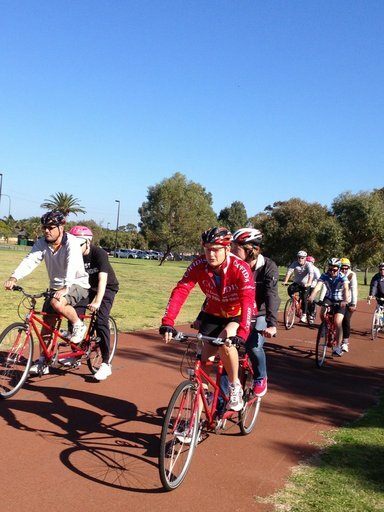 The West Australian Tandem Cycling Advisory Council’s(WATCAC) purpose is to promote the integration of cyclists who are blind or vision-impaired into the cycling mainstream. 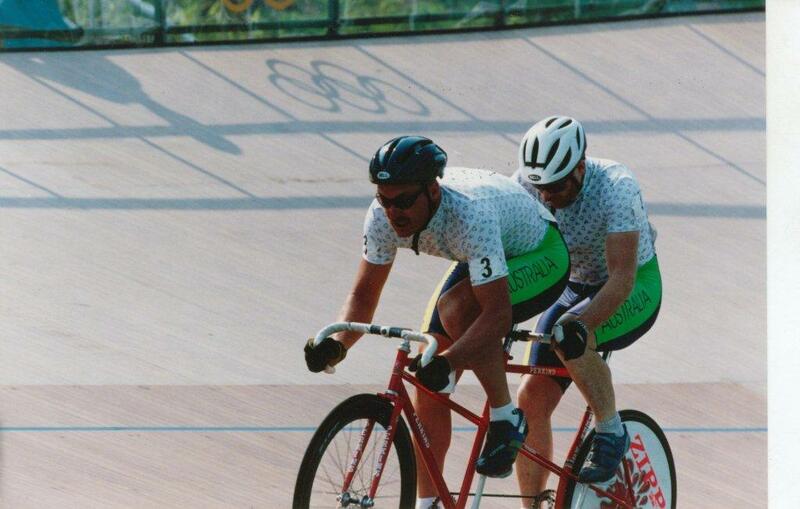 To this end, WATCAC organises a series of recreation rides, track sessions at the velodrome, and tours to bring cyclists together and give them the opportunity to ride tandems. WATCAC has been very successful in this endeavour, with members and former members going on to become enthusiastic members of the Perth cycling community. A number have gone beyond that to represent their state and country at national and international events including the Paralympics, some becoming medallists. WATCAC operates a number of road tandems from Victoria Park and track tandems from the velodrome in Midvale. All levels of cyclists are catered for with a range of tandems from mountain bike-style to high-specification road racers. Membership of WATCAC entitles members to use the tandems and to participate in WATCAC sponsored rides. Members are also entitled to borrow cycles from WATCAC for extended periods.